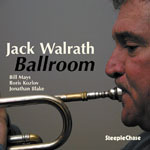 An often exciting, thoughtful trumpeter and good arranger, Jack Walrath has steadily gained attention and exposure through his contributions to outstanding sessions. Walrath began playing trumpet at nine, and studied at Berklee in the mid- and late '60s while working with other students and backing up R&B vocalists. He moved to the West Coast in 1969, and co-led the bands Change with Gary Peacock, and Revival with Glenn Ferris. Walrath also toured a year with Ray Charles. 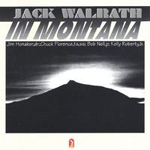 Walrath relocated to New York in the early 70s, and worked with Latin bands before playing with Charles Mingus from 1974 to 1979, an association that gave him a certain amount of recognition. Walrath contributed some arrangements and orchestrations to Mingus' final recordings. In the 1980s and '90s, he led his own bands, toured Europe with Dannie Richmond and the British group Spirit Level, worked with Charlie Persip's Superband and Richard Abrams, and helped keep the music of Charles Mingus alive by playing with Mingus Dynasty. Jack Walrath has recorded as a leader for Gatemouth, Stash, SteepleChase, Red, Muse, Spotlite, Blue Note, and Mapleshade; he is still improving with age. All About Jazz musician pages are maintained by musicians, publicists and trusted members like you. Interested? Tell us why you would like to improve the Jack Walrath musician page.